Looking for snow? Then Mount Rainier in Washington state is a great place to be. The park, on average, receives about 641 inches of snow each year; it lingers in the high country long after spring flowers are blooming in the low lands. That means there's usually plenty of snow for snowshoeing, skiing, camping, sliding, and more. While snow closes most roads in the park to vehicles, the road from the Nisqually entrance to Longmire is open year-round. The stretch of road from Longmire to Paradise opens daily if weather allows. You can check the road status on Twitter: MountRainierNPS. You'll find rangers to answer your questions at the Longmire Information Center seven days a week and up at Paradise in the Jackson Visitor Center on weekends and holidays. When open, the Jackson Visitor Center offers displays to learn about the park, large windows to enjoy mountain views, a snack bar and gift shop. Never been on snowshoes? Then join a park ranger or volunteer for a free, guided snowshoe hike offered several times a day on weekends at Paradise. Rangers will even lend you the snowshoes. Or you can rent snowshoes from the park concessioner or a business outside the park and head out on your own snowy stroll. Once enough snow has fallen to protect delicate vegetation in the meadows, the park grooms a snow play area just north of the upper Paradise parking lot for weekend sliding and sledding. This often stays active into March. Before ranging too far afield, talk to a ranger about known avalanche paths and risks, such as tree wells and snow bridges over streams. Once you know what areas to avoid and what danger signs to look for, you can head off for some backcountry fun. You won't find ski lifts in the park, so backcountry skiers and snowboarders spend a lot of time climbing hills to earn that sweet, memorable ride down. Winter campers can get guidance and a free camping permit from rangers at Longmire or Paradise. If you're not in the mood to rough it, consider booking dinner and a night at the National Park Inn, located at Longmire and open year-round. Keep in mind that mountain weather changes rapidly; a gorgeous day can quickly turn rotten. Check the weather, road, and avalanche conditions before you come, and consider rescheduling your trip for another time if things look bad. All vehicles are required to carry tire chains in winter, and drivers need to know how to put them on. (Some businesses outside the park rent tire chains.) Be sure to bring warm clothes, waterproof outer wear, and adequate foot gear so you can be comfortable no matter the weather. Get a preview of your winter visit via the park's webcams. 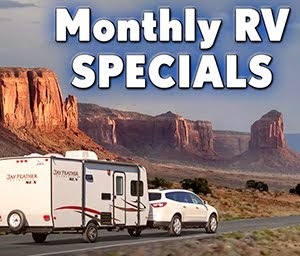 For more information on Mount Rainier National Park, click here. 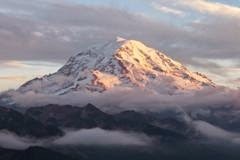 For the current edition of "Tahoma News," the Mount Rainier National Park newsletter, click here. The Washington State Parks and Recreation Commission has announced its “free days” for 2015, when visitors are not required to display the Discover Pass to enter.